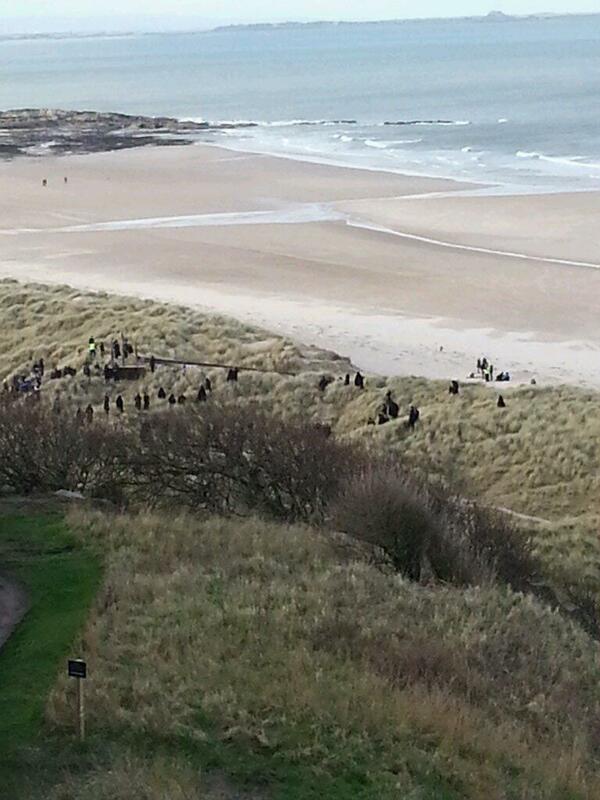 These beetling black figures, viewed from the castle crow’s nest, are not about to besiege or attack Bamburgh but are in fact, even as I write this, busy about their harmless work, peopling the dunes with suitably clad extras for the new film of Macbeth. Long inky capes are the order of the day, and there are masses of them: a high five to the firm that landed that order, methinks! Outside the pavilion on the village side of the castle, these dubious figures are gathering in inky swathes, delivered by incongrous mini-vans from the shoot head headquarters in the car park across the road. Theatrical transformation is so thrilling; the everyday is briefly touched by a dash of stardust and little creatures like us are caught in its sparkle: a wondrous world wherein, as in a dream, a bush atop a sand dune is easily supposed a bear. We cannot help but wonder what these busy and numerous newcomers, professionals and amateurs alike – with their boredom-redeeming Sudokus, thermal coffee-mugs and knitting – are making of this place, but we hope they like it here. Knowing that, by the time we trundle along the sands on our familiar way tomorrow, the Thane of Cawdor has cantered on before us, will lend a special magic to our steps. But the reality of routine is what a dog loves best: a whiff of crushed crab on a slab of volcanic rock I’ve bounced across a hundred times is the true magic; it wrinkles my nose and sends me onward, ever onward – to seek more joy beneath the castle walls.